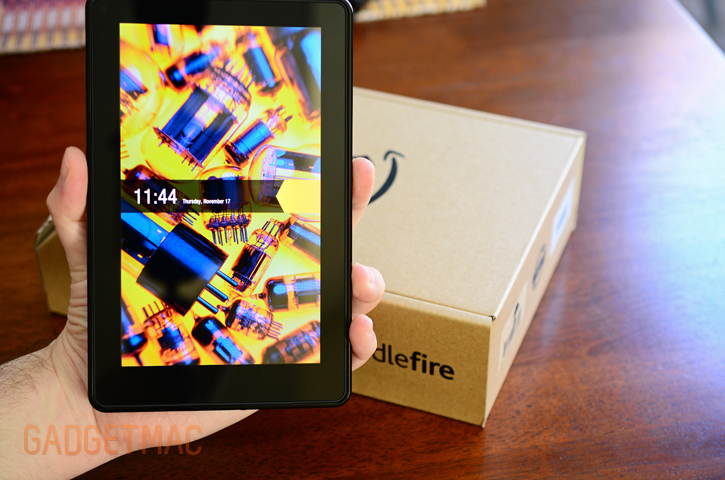 Amazon's new fiery hot $200 Kindle Fire tablet is finally here with us. We're going to give it the unboxing treatment it deserves so be sure to check out the gallery down below. 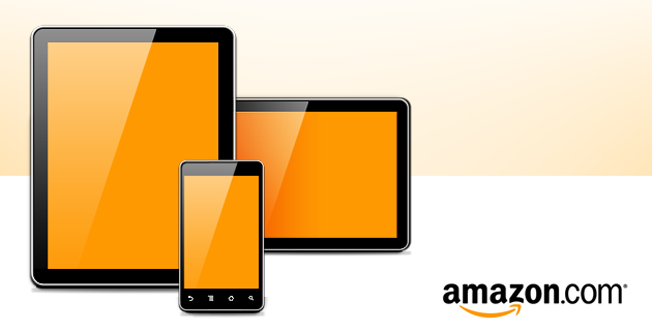 Amazon has a very strong ecosystem that is shown when using the Kindle Fire. Music and videos are streamed from Amazon's cloud service and apps can be purchased and downloaded from Amazon's very own Appstore. 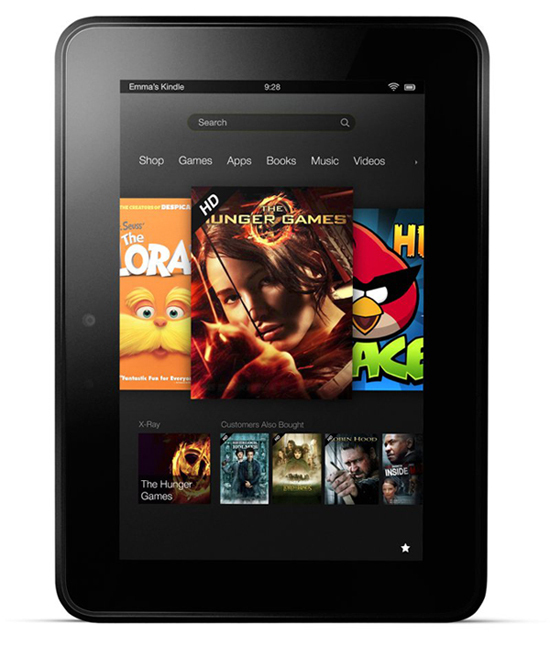 Although the Kindle Fire sole heart is an Android operating system, the Kindle Fire is heavily skinned and customized per Amazon's taste creating a more unique user experience that differs from other Android tablets on the market. Though after using the Kindle Fire, it seemed to be a bit sluggish and not quite up to par with other tablets in terms of speed and responsiveness. 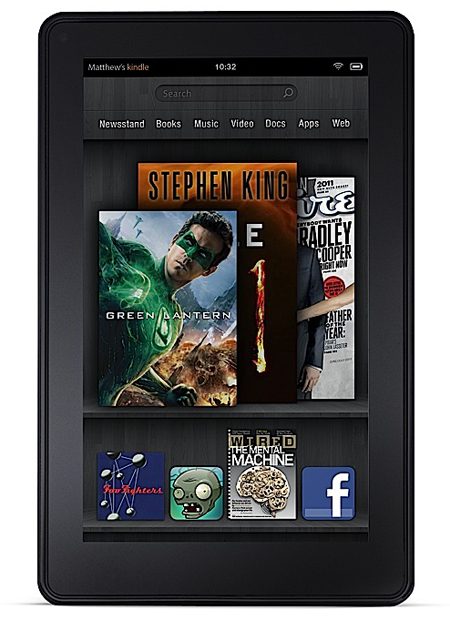 The Kindle Fire boasts a 7-inch IPS touchscreen display with 16-million colors at 1024x600 resolution, WiFi, dual-core processor and 8GB of internal storage plus 5GB of free Amazon Cloud storage. The 7-inch form factor feels absolutely great to hold with one hand and feels like you could take it with you everywhere you go without sweating a single drop. It also makes it more comfortable to type on the on-screen keyboard that has a spacious key layout. The back is coated with a black soft-touch rubbery texture found on Amazon's Kindle e-readers and it adds a good level of grippyness to the device, but also easily shows oily fingerprints. The screen is crystal clear, bright and reading text on it is very pleasant. I'm amazed Amazon managed to keep the price so affordable yet built a very solid tablet with a great screen. Aside from a power/sleep button at the bottom, the Kindle Fire doesn't have any other buttons or switches. There are two large speakers at the top which aren't as loud as the iPad 2's speaker, 3.5mm headphone port and a micro-USB port for charging at the bottom. Browsing the web feels a bit slow even though Amazon's praised Silk browser that is said to handle most of the rendering of pages via the cloud doesn't come close to the fast loading speeds of the much pricier iPad 2 over a WiFi network. Granted you should not compare the two against each other as these are both completely different tablet categories. On the other hand, streaming videos and movies is amazing. Each load in the blink of an eye and start playing instantly with respectable picture quality. This is where Amazon's own services show a very strong presence in the Kindle Fire that not even the iPad competes with iTunes for instantly streaming content. Also, Amazon Prime members get access to Amazon Instant Prime library of over 10,000 movies and TV shows and can stream all of that for free. Amazon's Appstore isn't what we would call a thriving ecosystem and it isn't filled with quality apps and the vast selection you would find in Apple's App Store or even in the Android Market. 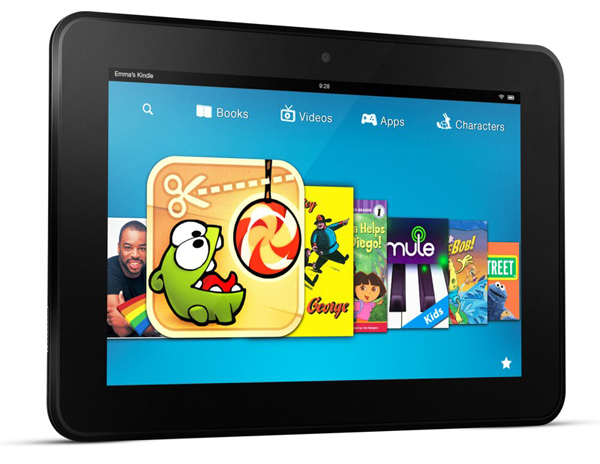 Don't worry, you'll be able to get your Angry Birds fix with the Kindle Fire as well as many other apps tailored to run on the Kindle Fire. The Kindle Fire comes to your doorstep inside Amazon's famous frustration-free, eco-friendly packaging with only the bare essentials included inside that is a wall power adapter. There's a slew of sleeves and cases already out for the Kindle Fire, we recommend Amazon's own Zip Sleeve for a quick protection solution, although it is overpriced. We'll have a review on it very soon. The Kindle Fire might not be the snappiest tablet around, but as a budget tablet, the Kindle Fire is worth its price without any doubt. It'll make for a nice present this holiday season for someone who uses Amazon more than anything. 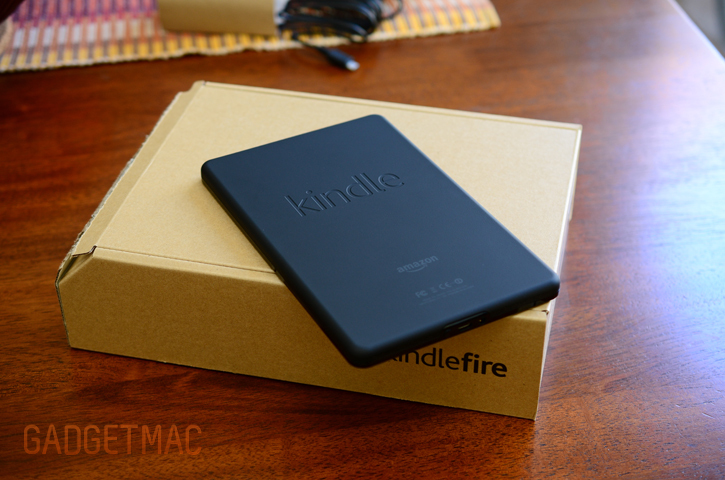 And that's just our first impressions with the Kindle Fire after only a day! 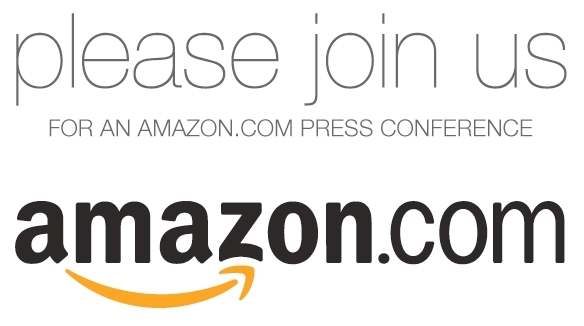 Amazon has released the press conference video of yesterday's announcement of all-new Kindles including the kindle Fire tablet with Amazon CEO Jeff Bezos delivering the keynote. Everyone but my mother has jumped onto the tablet bandwagon and now it's the online retail giant, Amazon, is said to begin releasing a few tablets of its own this year. Amazon will release at least two tablets this year under the Amazon brand name running Nvidia's Tegra 2 as well as an ultra-fast quad-core Nvidia T30 processor with a 500% increase over the dual-core Tegra 2 processor. No details further then this have been leaked out at the moment except for the two tablet codenames, dubbed "Coyote" and "Hollywood". Amazon already has the Kindle on its side so bringing a few tablets into the market does seem very plausible.